Disintegration is ranked as the best album by The Cure. Members who like this album also like: The Queen Is Dead by The Smiths, Doolittle by Pixies and Nevermind by Nirvana. Majestic Theatre, Madison, United States. Magic Bag, Ferndale, United States. Related links: top tracks by The Curetop tracks of the 1980s, top tracks of 1989. Showing latest 5 ratings for this album. | Show all 1,511 ratings for this album. Related links: top albums of the 1980s, top albums of 1989. Robert Smith wanted something for he to be remembered, because in his opinion, before this album, he never really achieved his potencial. On with I actually agree with him. If he wanted to make a masterpiece, well, he made It. I couldn't describe how much this album describes my sense for music, every direction It takes both musically and lyrically are just about perfect to me. The atmosphere, the long-winded intros, the moody guitar lines, Smith's delivering, I Just love it. And who cannot cry listening to "Plainsong" and "Pictures of You" in a sequence? Allthough I agree with some of you that due to the length of the album can be tough to completely finish the album, the combination of plainsong - pictures of you is just perfect. Another great example of why play an album on shuffle is a sin. This is, of course, an objectively great record and wonderful collection of soundscapes. It is hard to be sad enough to really appreciate it for a full 72 minutes, though. despite being in the top 50 on this site, still underrated in my opinion. this is one of the greatest albums ever made. incredibly layered production with smith at his songwriting peak. phenomenal. Always loved The Cure, and for a long time Wish was my favourite. 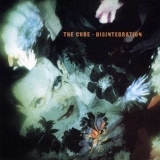 But with many repeated listens I've realised that Disintegration is not only more consistent than Wish, it's also an album I can never get enough of. There simply isn't an album I could safely say is dearer to me than Disintegration. Sometimes I think it's the best album I've ever listened to, sometimes it's around the top 10, but it's always here and always such a beautiful album all around.